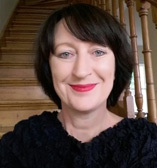 Caroline has been a theatre publicist and producer for the last 20 years, and is currently producing King and Country, Niu Sila, The Lonesome Buckwhips, and Le Sud both nationally and internationally. Caroline is a former Marketing Manager at Downstage Theatre and was producer of The Naked Samoans (1998–2004). She toured the company around New Zealand and to the Edinburgh Fringe 2002.